OCPBR is a passionate group of people whose goal it is to protect and take care of Pit Bulls through education, advocacy, rescue and community outreach. OCPBR seeks to improve the perception of Pit Bull type dogs, promote good ownership through encouraging the treatment of dogs as family members, help keep dogs out of the shelter and in homes, and create more fulfilling relationships between Pit Bulls and their families. In 2017 we launched 2 new community outreach programs that have and continue to help keep more Pit Bull type dogs home with their families: Home Is Where The Pit Is is an initiative to provide owner support (food, veterinary care, pet deposits, training help, supplies, etc) to keep dogs out of shelters and with their families. The second program is P.I.T. 101 (Pits In Training 101) is a low-cost drop-in group dog training class designed to help owners who can’t afford the cost of training their dog. Pit Bull type dogs are surrendered to shelters every day due to behavior issues that can be eliminated or managed through dog behavior training, by providing low cost training to those in need, less Pit Bull type dogs will be surrendered to kill shelters. In our rescue work, OCPBR rescues Pit Bull type dogs from shelters, abandonment and other unfortunate situations. Each dog is then placed in a loving foster home where he or she will receive training and be treated as a family member. We are 100% committed to each of our dogs for the long term. Our rescue work doesn’t stop when the dog is adopted. 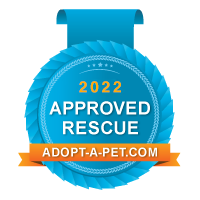 We are available as a lifetime resource for adopters and have stepped in to help with medical care, training needs or other things throughout the life of the dog adopted from us.